Courtesy BillboardWith a new collab with Sam Smith out tomorrow, a debut solo album on the way and the opening slot on Ariana Grande‘s tour, this is Normani‘s moment to shine. In a new cover story for Billboard, the singer admits she felt overlooked during her time in Fifth Harmony. But now, she says, she’s found the confidence to step out on her own and be a strong voice for young black women. “There’s so much that I have to get off my chest. And there’s a responsibility I have as a black woman — one of the very few to have the power to kill it,” she says. 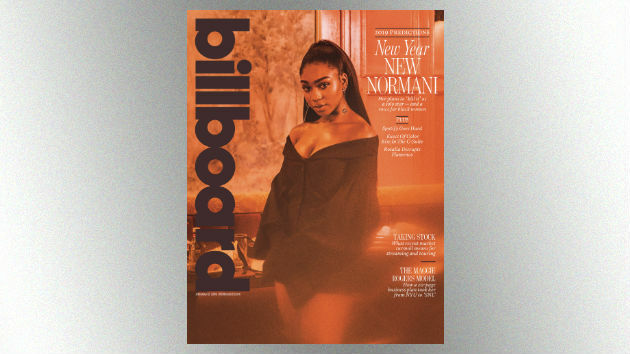 Normani is still putting the finishing touches on her debut album, which she describes as “sultry” and “dominant,” and hopes to release it in the second half of 2019. Her song with Sam Smith, “Dancing with a Stranger,” comes out Friday.